Why Won't My Baby Laugh? 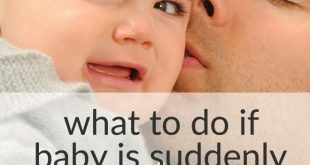 Home > Baby Helpline > Baby Development Questions > Why Won’t My Baby Laugh? Why Won’t My Baby Laugh? My baby is almost 10 months old and I can count on one hand how many times she has laughed out loud. Why won’t she laugh????? I am very worried that there is something wrong with her. Shouldn’t a baby at her age laugh? 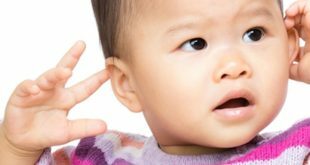 10-Month-Old Baby Not Laughing – A Sign Of Autism? It is tough when you notice major differences in you own child’s behaviour compared to others’. One milestone for 4-month-old babies, is actually to laugh out loud. However, if your girl is smiling, babbling and otherwise communicating, she is likely to be fine, especially since she has laughed out load at least a few times. How does she react if you tickle her? How is she doing regarding other developmental milestones? Being 10 months old, she should be understanding a few words, enjoy games peek-a-boo, gesture, and be able to pull herself up to a standing position, to mention some milestones. You can read more about 10-month-old milestones here. If she is developing normally, has a strong bond with you and is smiling, babbling et cetera, then the lack of laughing is probably just her personality or her personal development path. Not smiling and laughing out load at all is sometimes an indication of a hearing or vision problem or an early sign of autism spectrum disorders. Catching cognitive developmental delays early and intervene early is extremely important for babies with some sort of autism-reated issues. I am not saying this to scare you at all, but to help you sort out if the lack of laughing is just your baby being a little serious or if it really something to address to make sure she has the best possible start in life. If you are at all worried that your girl could have any of that, talk to her health care provider! Being 10 months old, I suspect your girl has already been to a regular check up regarding her hearing and vision? Well, in any case, my view is always that it is better to take a baby to the doctor one time to many. Usually nothing is wrong, but the worrying is tough. So have your girl checked up. And let me know about your progress! You can also read another forum thread about another baby who isn’t laughing. This is an older baby, 15 months old, but maybe the discussions there can still be of help for you. Here is the thread about the baby who doesn’t laugh yet at 15 months.